A richly evocative oil, Indian Rose Absolute is one of the world's most precious essential oils. Timelessly romantic. This body lotion uses burnt Cane Sugar, a humectant which attracts and seals moisture into the skin. 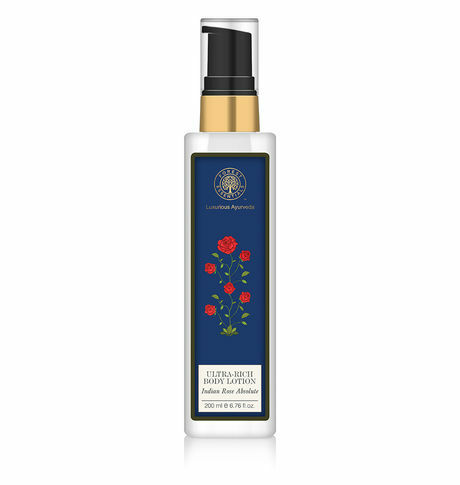 This Moisture Drenching Indian Rose Absolute Hand & Body Lotion is enriched with caramelized sugar crystals that retain moisture on the skin and leave it soft and nourished. Kokum butter along with burnt sugar and organic beeswax provide natural hydration and make the skin smooth and supple. Antioxidant properties of Vitamin E and Gokharu reduce the ill effects of free radicals and give lustre to the skin with voluptuous fragrance of Indian Rose Absolute.